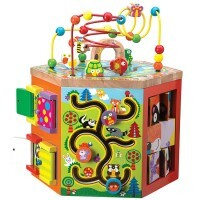 Two attached magnetic wands let toddler or preschool friends race the marbles around this zoo themed double fun maze. 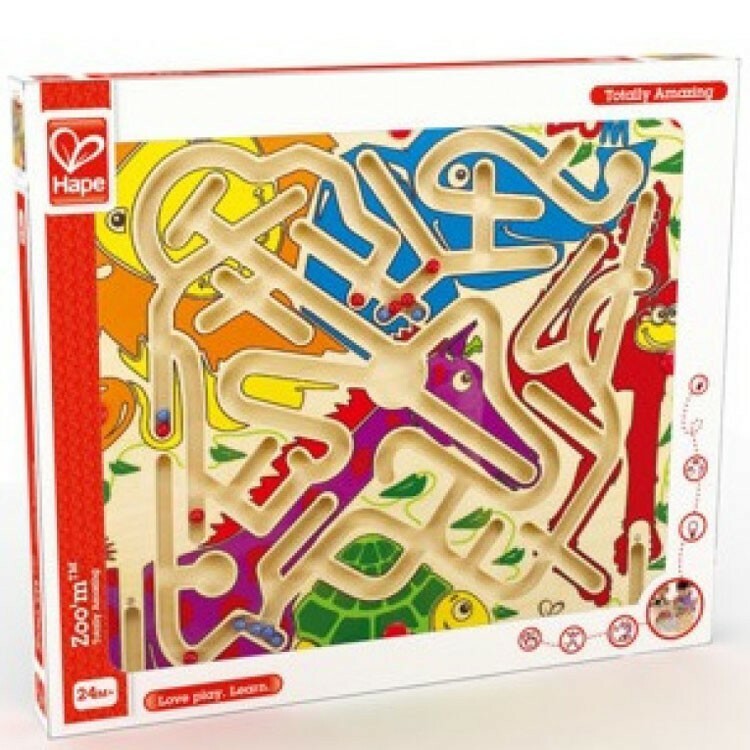 Now the toddler or preschool maze fans can have double fun racing the marbles through this zoo themed labyrinth. 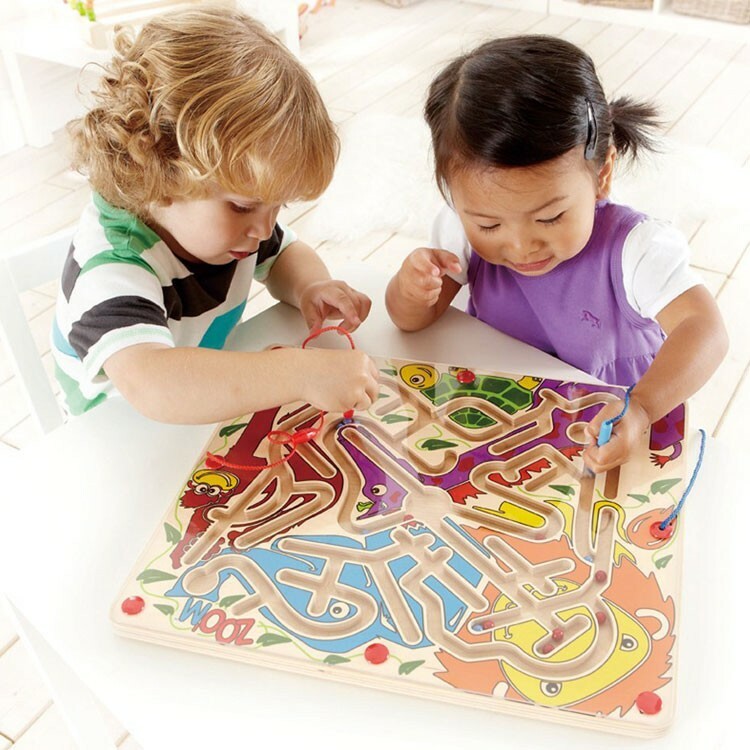 Zoo'm 2 Magnetic Wands Marble Maze by Hape can be played by two little players at the same time. 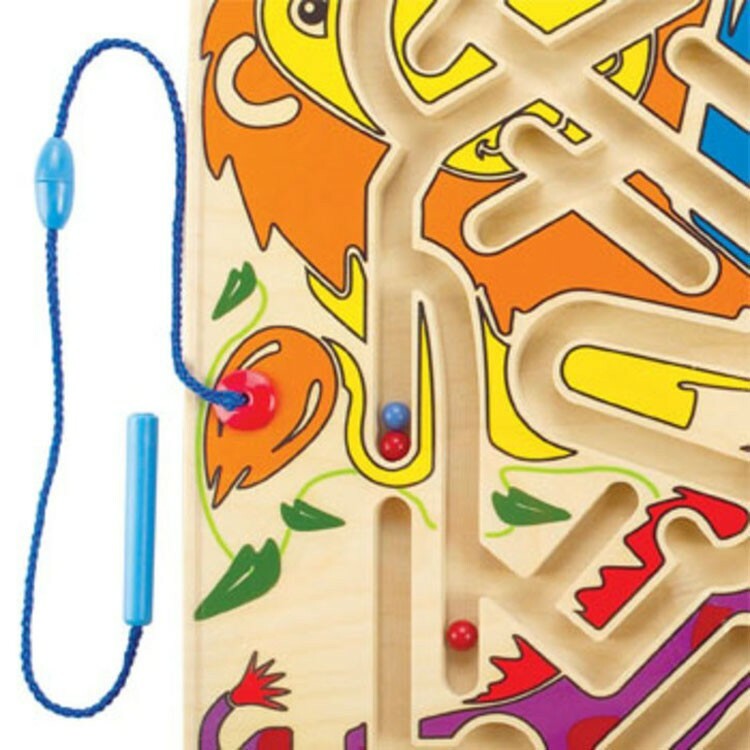 Brightly illustrated with the zoo animal images, this toy is toddler first game, a pathfinding maze, and a fine motor activity board - all in one developmental toy. 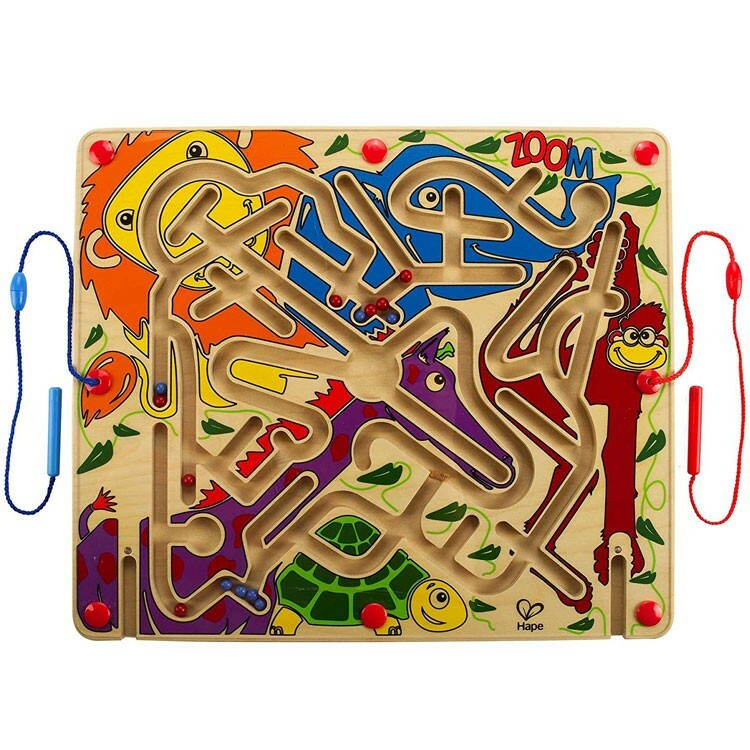 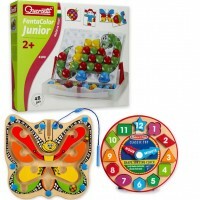 This manipulative game from Educational Toys Planet features a wooden board with the maze tracks and colorful balls inside. 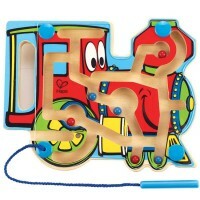 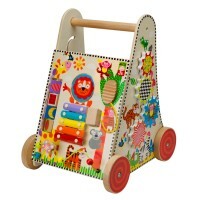 Take one of the attached magnetic wands and guide the marbles along the paths of this wooden maze. 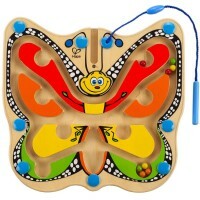 The animal theme game board is permanently covered with the see-through plastic top to keep the marbles inside the maze. 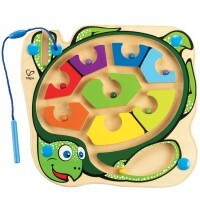 The Zoo'm 2 Magnetic Wands Marble Maze is a terrific activity toy for your home, classroom, or waiting room play collection. 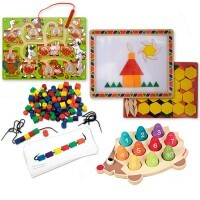 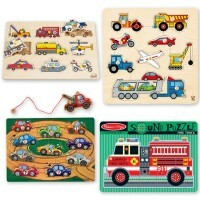 This cognitive development toy meets and exceeds all US toy safety standards. 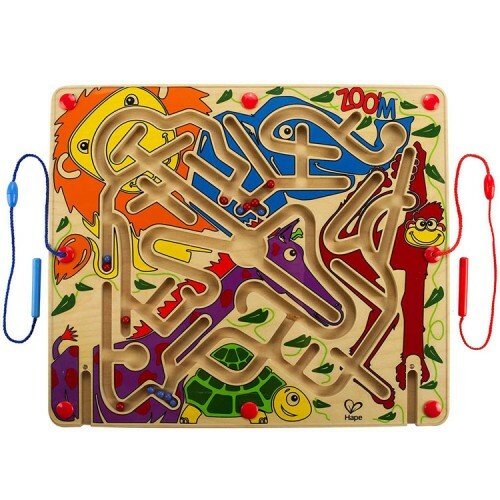 Dimensions of package 0.83" x 15.55" x 13.31"
Write your own review of Zoo'm 2 Magnetic Wands Marble Maze.